But how do you know what you are getting? Go to a reputable jeweller. Good answer, but how can you tell a reputable jeweller?, by the expensive high street location?, by the quality of the shopfittings?, by intuition?, by recommendation?, because he works at a bench? Recommendation is probably the best of these. But a reputable jeweller may not provide the best value, somebody new may give you a better deal. It's very hard to tell. One favourite suggestion of mine is to go into a jeweller, look at an expensive diamond ring, pull out your cheque book , and ask "Is this ring a good investment"; if he says "yes", walk away and don't go back! See our page about jewellery as an investment. Good idea, but how do you know you are being given an honest or accurate answer? Unfortunately there are many people who will tell you anything to make a sale. If you are given quality grades, get them in writing on the receipt or valuation, preferably on a compliment slip before you buy. If the jeweller is reluctant to put his opinion in writing, be suspicious! Great idea especially if you are spending a lot of money, or buying a diamond of exceptional size or quality, but do look carefully at the certificate. If it is from the London Gem Laboratory, any other CIBJO (Confederation International de Bijouterie Joaillerie et Orfevrerie) laboratory, or the GIA (Gemmological Institute of America), then you should be able to rely on it, provided it belongs to the stone you are buying. Independent expert grading or certification like this costs money, from about £50 per stone according to weight, so you should only expect to get a certificate on high quality or larger, more expensive stones. Many other laboratories exist, there is nothing to stop you from opening a diamond grading laboratory! Certificates from other laboratories are probably not worth the paper on which they are written, especially if you ever come to sell. Another good idea. It is hard work, but worthwhile. I believe, in fact, that if you want a good diamond and also a good deal, then you must be prepared to put some hard work into making your selection. Ask questions, you will probably learn to avoid the jewellers who are badly informed, and you may find that you soon learn more than most of the sales staff know. You may find that you can tell when you are being given poor or misleading information. This may sound obvious, but it is surprising how many people buy a diamond ring because they like they pretty design of the mount. Obviously getting a ring design that you like is also very important, but the more you spend on the ring, then the more you should concentrate on the diamond. Most good jewellers can supply a mount in a style to met your wishes. Be patient, and be prepared to wait. If at first you do not see what you want, discuss your requirements with your jeweller. When you find the diamond you want, be prepared to wait for the mount of your choice. You may be able to wear it in an existing mount while your own is specially made. Don't allow yourself to be rushed. This might sound like the same advice as the last paragraph, but isn't. If a jeweller tries to panic, press or hurry you into a sale, ask for time to think about it. Only when you are certain that you have seen what you want should you take the plunge. Ask the jeweller for a magnifying glass. Assuming you have not already been offered one! All decent jewellers own and use a special 10x (ten times magnification) magnifying glass, called a "loupe" (French for magnifying glass, but standard jewellers' jargon). This is the standard tool of all diamond dealers and experts world-wide. They are tricky to use at first, so don't be afraid to ask for a quick lesson in how to hold them. If the jeweller is not helpful, leave! Please don't leave your fingerprints on his lens! We do have a vested interest in encouraging you to learn more. 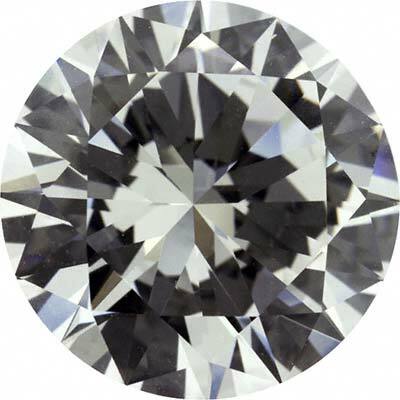 We take great pride in our quality and value, and we firmly believe that the more you know about diamonds, the more likely you are to buy from us rather than our competitors.